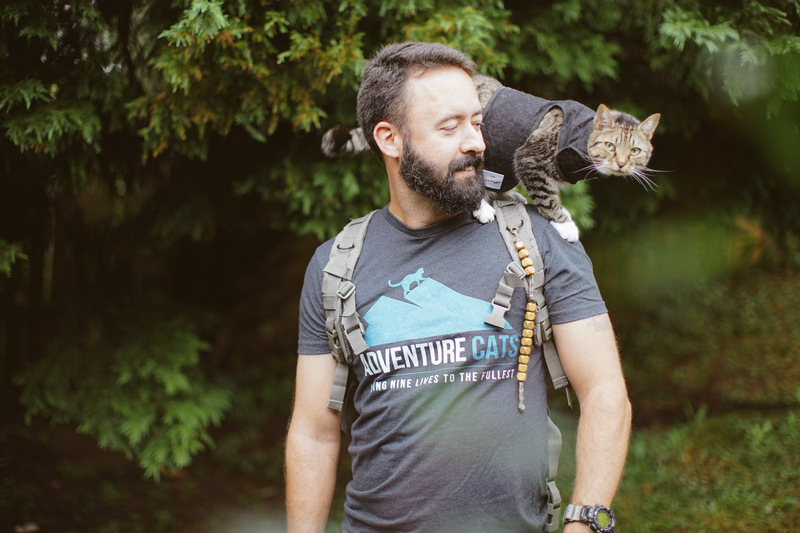 Many adventurer cat owners say their felines are comfortable snuggling up inside their daypacks or nestling atop them, but there are a variety of backpacks on the market that are designed specifically for pets. 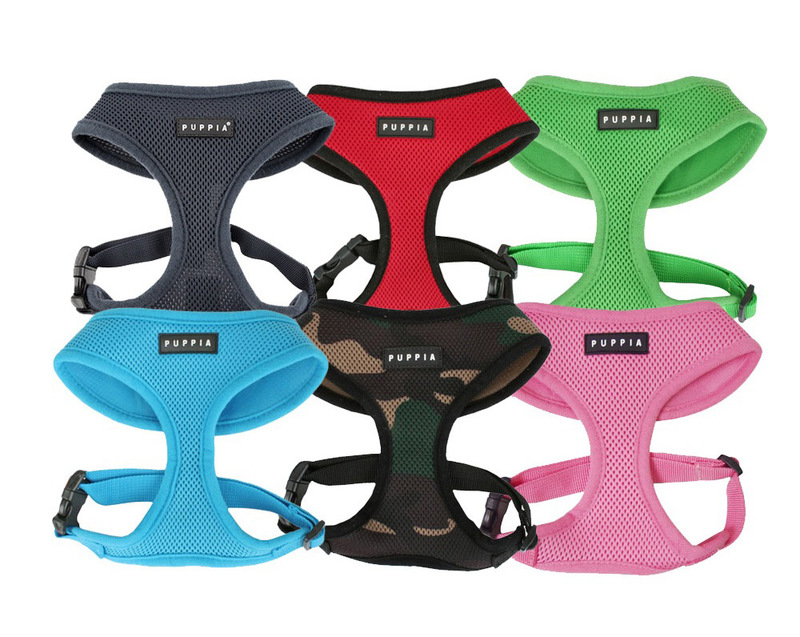 These pet backpacks provide ventilation, stability, security and a wide viewing range for your adventure cat. At only 9 pounds, adventure cat Eevee fits purrrfectly in her Outward Hound backpack. 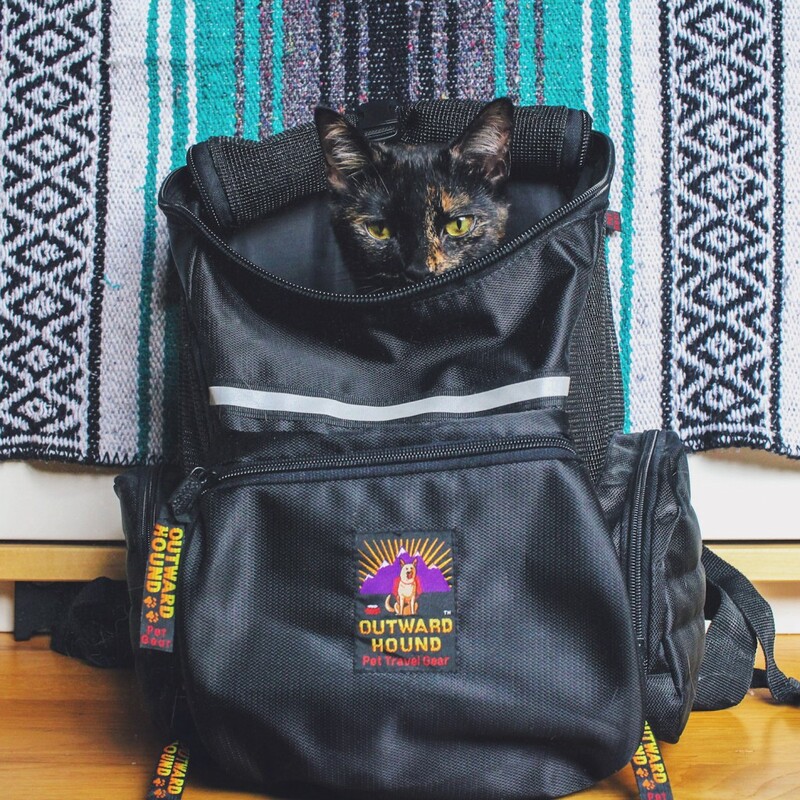 According to her human, Emily Grant, the highlight of this backpack is the abundant pocket space, but the main drawback is the lack of support at the bottom. 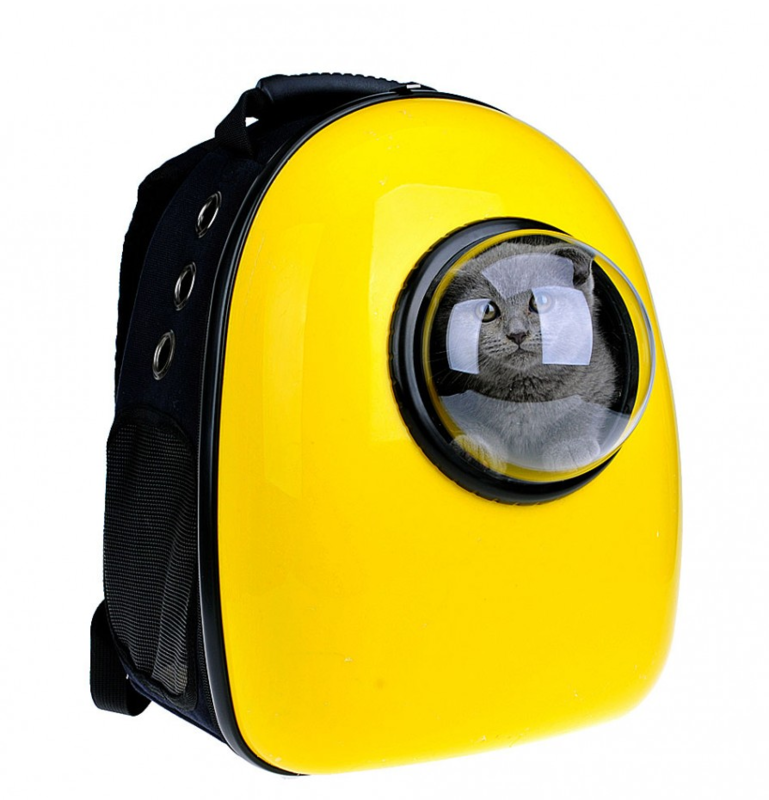 An acrylic, semi-sphere window on this cosmic-looking backpack provides the ultimate viewing experience for cats traveling in space. All joking aside, the U-pet backpack is a versatile pack with three options for use: the opening can be covered with a bubble or a screen or simply left open. 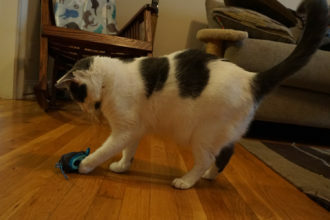 Krissa Anderson noticed that her cat, Gandalf the Grey, seeks out his U-pet backpack whenever he feels anxious. Once inside, he enjoys poking his head out to survey his surroundings. 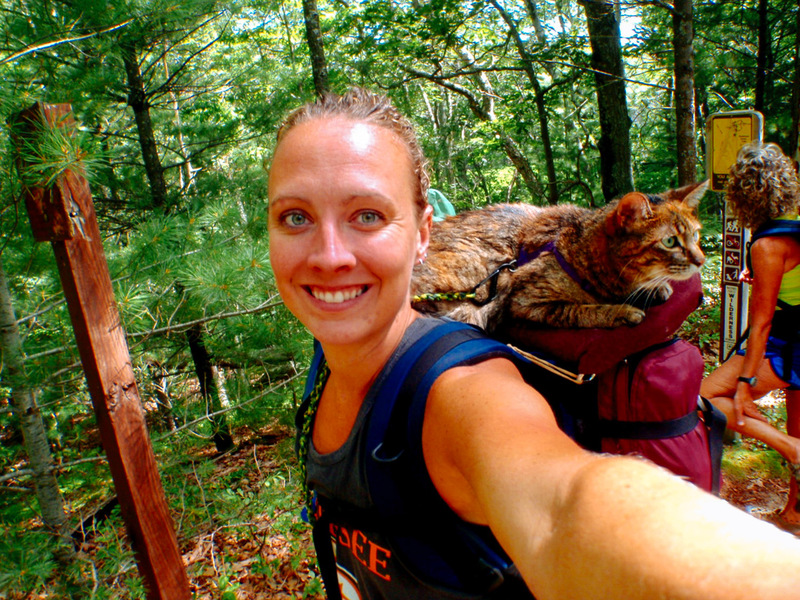 “I’m sure it makes Gandy feel safe, and it makes me feel more comfortable bringing him out on trails,” she told Adventure Cats. 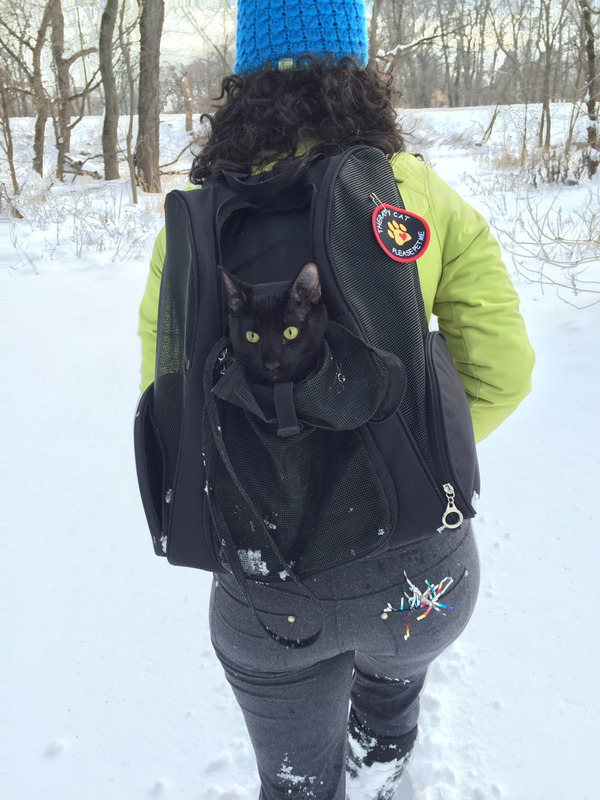 Johanna C. Dominguez and her cat, Sirius Black, chose this backpack for its size. Being a rather large cat, Sirius needed a backpack that could hold at least 20 pounds. Even though he recently outgrew this pack, Dominguez appreciated the ventilation and comfort it provided. 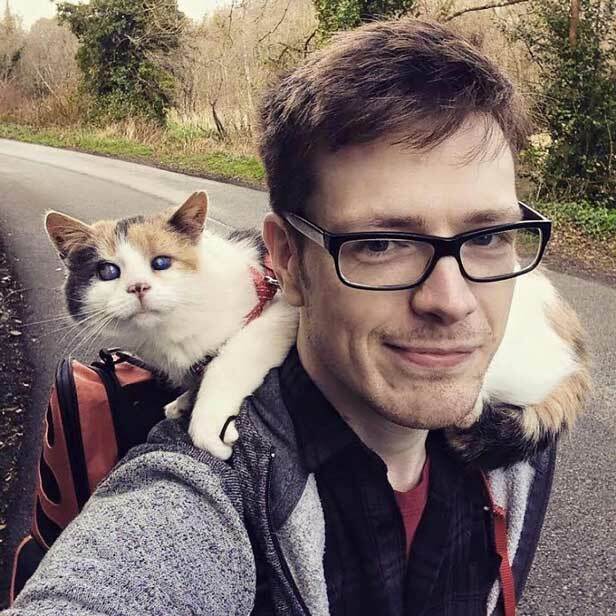 On the smaller side, this backpack is a favorite of Stevie, a blind adventure cat from Ireland, and her human, Patrick Corr. 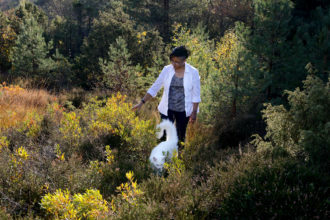 The pack provides safety as well as fresh air when Stevie needs a break from walking. 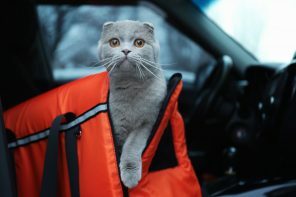 Foster and Smith, recommend this backpack — as one of several — that can protect your cat from other pets, people and hot pavement. 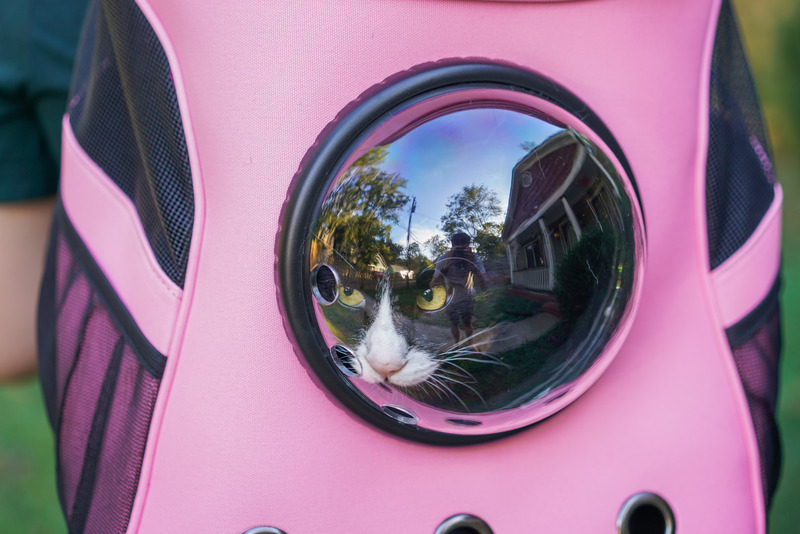 This backpack comes in multiple colors and is designed to hold up to nearly 20 pounds of feline, and it features mesh sides, air holes and a detachable bubble to ensure your kitty is comfortable and able to enjoy the scents, sights and sounds of nature. There’s also a cozy mat for kitty to curl up on, as well as side pockets, adjustable straps and clip inside for your cat’s leash. 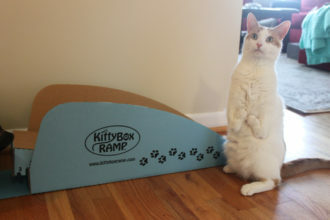 Even though this platform isn’t available for purchase, it’s not too difficult to make. Just ask veterinary student Erin Dush. Having tried backpacks in the past, Dush discovered that her cat, Josie, wasn’t fond of confined spaces. 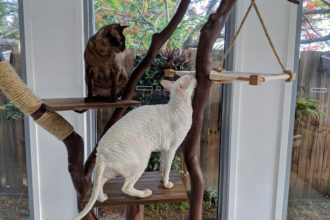 Today, Josie rides on an aristo-cat-ic platform of PVC piping covered in canvas. 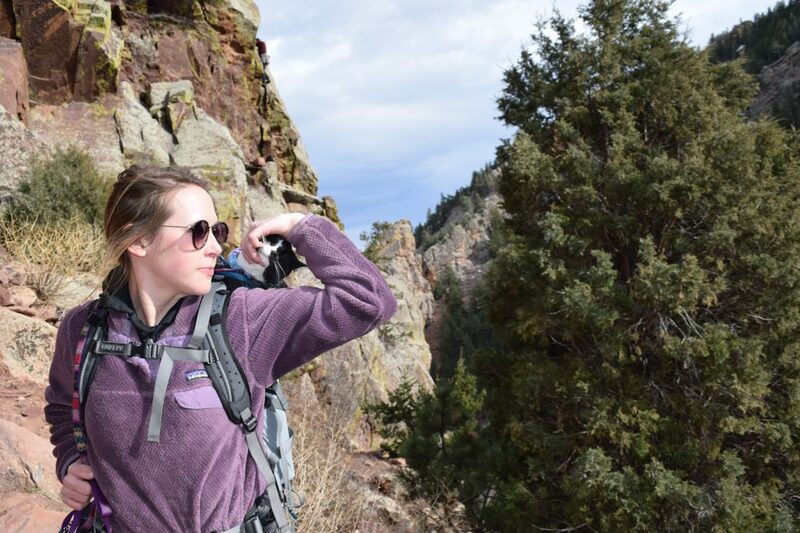 Carabiners and a bungee cord secure the platform to the shoulder straps of a backpack. 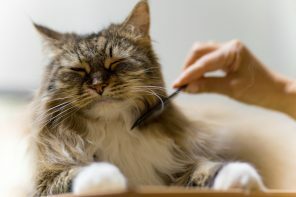 Once you’ve trained your cat and selected a harness, selecting a cat backpack is the next step toward an amazing adventure with your feline friend. Also, don’t forget to familiarize yourself with these adventuring best practices. I use the Petsfit Comfort Dogs Carriers Backpack which has great support on the bottom for a cat riding inside, ability leave the top open or open the front, and also can completely zip apart for easy cleaning and storage. Only problem is there there are no pockets to anything other than your cat. I think it is a great bag! I second the Petsfit carrier! 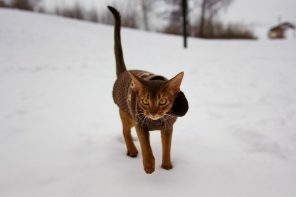 I take my cat hiking with it all the time. It’s good support for him and me. Only downsides is the pockets. I sewed my own pockets into the side. I got one called “The Fat Cat” from Your Cat Backpack: https://yourcatbackpack.com/products/the-fat-cat-cat-backpack. It holds up to 19.8 lbs, opens at the top so my Andie can hang out, and has pockets on both sides of the bag. 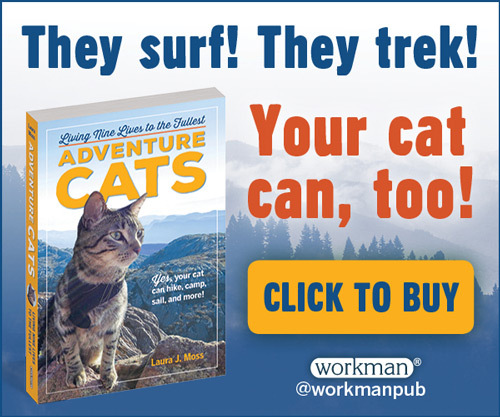 Really great for hikes or a cat you know will want to look out. There’s a leash hook on the inside as well!